Old school Mexican restaurant with great food served in generous portions. El Parador is known as the oldest Mexican restaurant in New York City and for that they must be doing something right. Service has always been friendly, helpful and with just the right amount of face time without unnecessary interruptions. 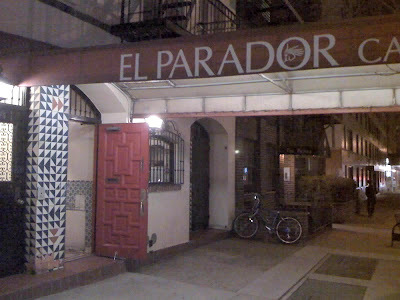 I first visited El Parador about five years ago and since then every few months or so I find myself craving for a well-made margarita and some of their famous dishes like the Pollo Parador, Bouillabaisse Veracruzana, Chiles Rellenos, Paella, Baja Fish Tacos and Mole. Recently I started thinking about having a glass of margarita on the rocks with a salt rim and made using one of those small batch - boutique tequilas. El Parador has a great selection of premium Anejo, Reposado and Blanco tequilas at their disposal to use in your drink. I normally reserve a table but considering it was late Wednesday night I didn't think we would need one for two people. Well, I was wrong; restaurant was packed at 9:30 PM which I guess it is a good sign that they are doing well even on a weekday. Now this is where knowing the owner comes in handy. Alex and his father Manny have always did a great job of making us feel welcome and making sure we always enjoy our meal at the El Parador. Now that his father is retired Alex still single handedly manages to run this place without a hitch. It's nice to know that the owner is there to make sure everyone is enjoying their meal. We got a table in the back of the dining room and started with the complimentary warm salsa and nachos. It's spicy but once you start eating it you can't stop. Then we ordered the Guacamole which is great but don't expect it like the ones you get at other Mexican restaurants which is prepared table side in a lava rock container. 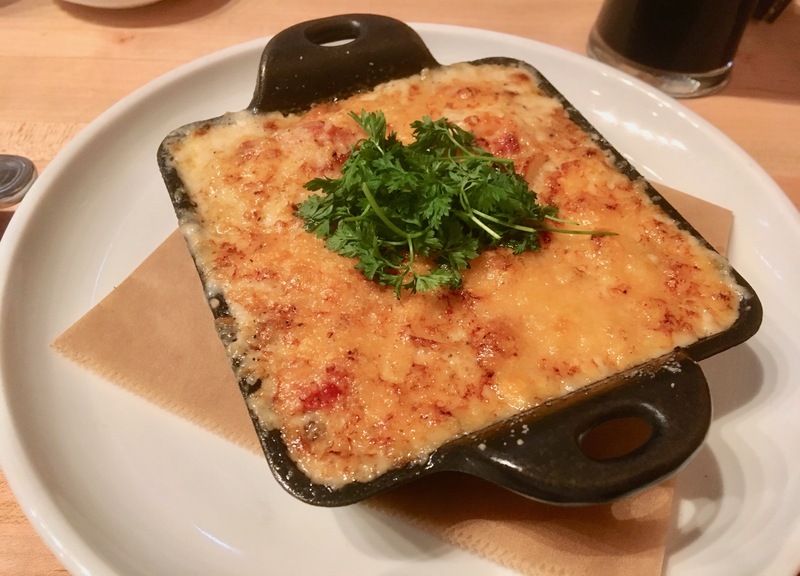 Then we moved to the fried chorizo appetizer which comes with small bites of cheese and olives. They have a special dish called albondigas ( I believe veal, beef and pork is mixed equally and sometimes even they mix in chorizo and longaniza) which is like meatballs but they don't offer it everyday and most of the time it doesn't even make it to the menu unless you ask for it. It's worth a try! We then wanted to continue with the grilled octopus but they ran out at that point so instead we got the Baja Fish Tacos, a little spicy but still delicious. You get three soft tacos with avocado and cilantro salsa. Finally we ordered the Pollo Parador (half chicken marinated in the El Parador secret blend of spices then seared and baked) which is one of their specialties but it does take about twenty to twenty-five minutes so order some starters to share while you wait for it but trust me you'll enjoy this. Normally any other Mexican restaurant we either get few beers or order a bottle of wine with our meal but at the El Parador we enjoy our meals with few rounds of margaritas. They offer about fifty different variations of premium tequilas and mezcals as well as a full bar for other drinks. My favorite margarita is the one is made with Chinaco Tequila which is not as famous as Don Julio, Patron, etc. but it taste much better, as least in my opinion and it's not as overpriced as others trendy brands. In a margarita blanco version is just fine, reposado and anejo are more like single malt and it's good on their own without mixing to sip neat or on the rocks. Unfortunately we didn't have any room left for dessert but at our previous visits we did enjoy their Warm Chocolate Lave Cake, Banana Rum Cake and Flan de la Casa.